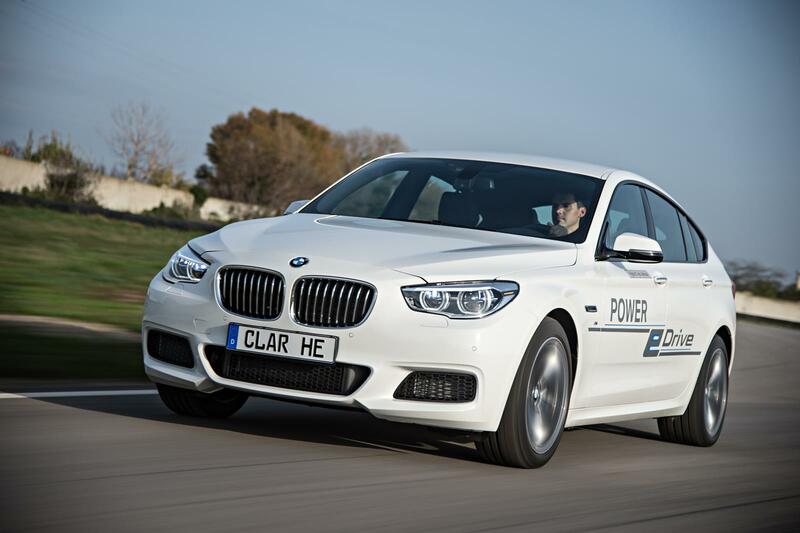 Η BMW μαζί με την 3-Series plug-in hybrid, παρουσίασε και μια πρωτότυπη 5-Series GT με eDrive και Twin Power Turbo τεχνολογία. 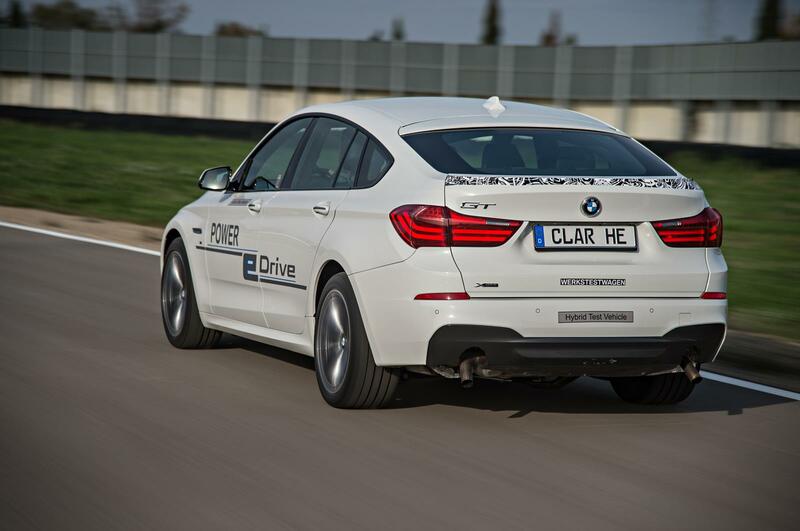 Με το αυτοκίνητο αυτό η BMW μας δείχνει τι κινητήρα θα διαθέτουν τα μελλοντικά της plug-in υβριδικά μοντέλα τα οποία θα είναι σε θέση να παράγουν έως 680 άλογα με 1.015 Νm ροπής. Οι ηλεκτροκινητήρες του συστήματος παίρνουν κίνηση από μια μπαταρία ιόντων λιθίου 20 kWh που στο αυτοκίνητο έχει τοποθετηθεί κάτω από τα πίσω καθίσματα. Όταν είναι πλήρως φορτισμένες δίνουν αυτονομία 100 χλμ, με τον Twin Power Turbo κινητήρα να λειτουργεί είτε ως γεννήτρια παραγωγής ηλεκτρικής ενέργειας, είτε ως κανονικός κινητήρας, δίνοντας κίνηση στον μπροστά άξονα. 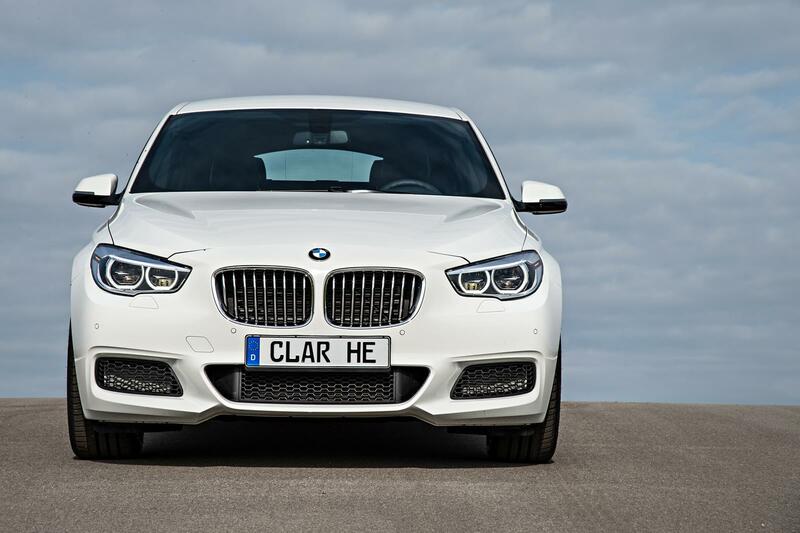 Στη δεύτερη περίπτωση, η 5-Series GT έχει συνολική αυτονομία άνω των 595 χλμ. Στον μπροστά άξονα είναι τοποθετημένος ένας ακόμη ηλεκτροκινητήρα που συνδυάζεται με το αυτόματο 8άρι κιβώτιο, κάνοντας το αυτοκίνητο τετρακίνητο όταν χρειαστεί. Έτσι η συνολική ιπποδύναμη φτάνει στα 680 άλογα, στη περίπτωση που οι ηλεκτροκινητήρες και ο κινητήρας εσωτερικής καύσης δουλεύουν ταυτοχρόνως. 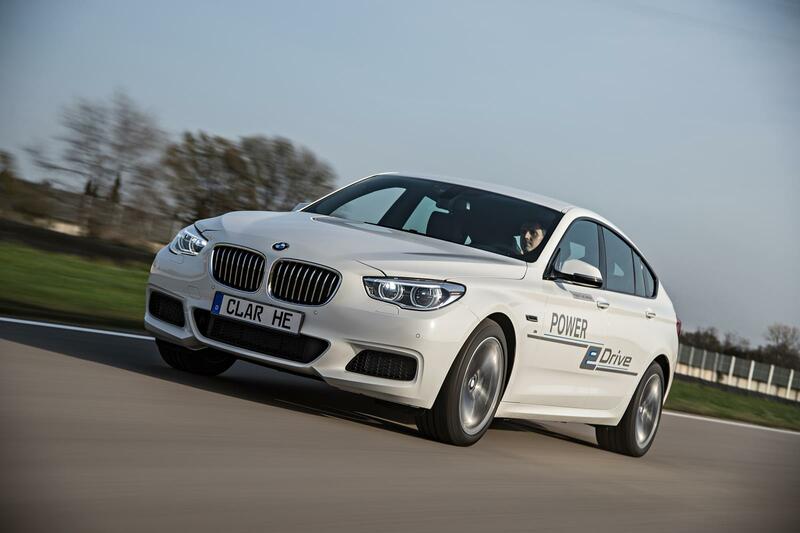 The overall efficiency of a plug-in hybrid vehicle is closely related to its all-electric driving range. 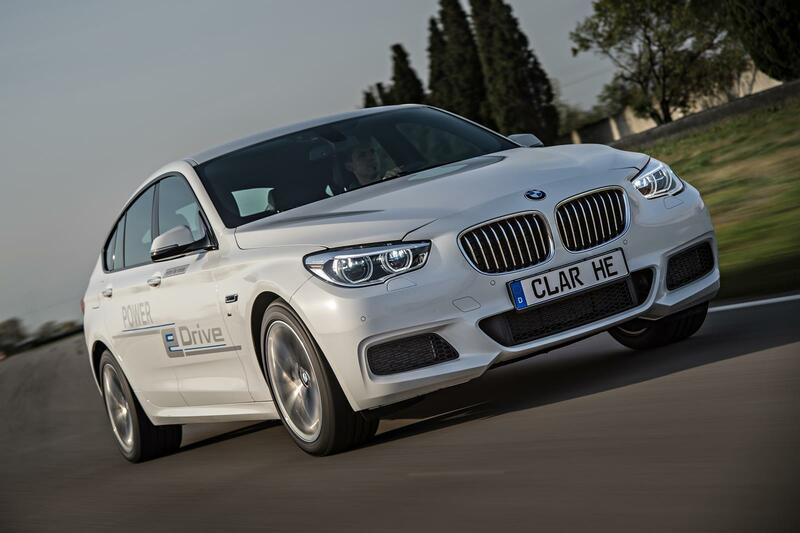 The ongoing development and refinement of hybrid drive systems under the Efficient Dynamics programme is geared in particular to maximising the amount of time the vehicle spends in electric mode. 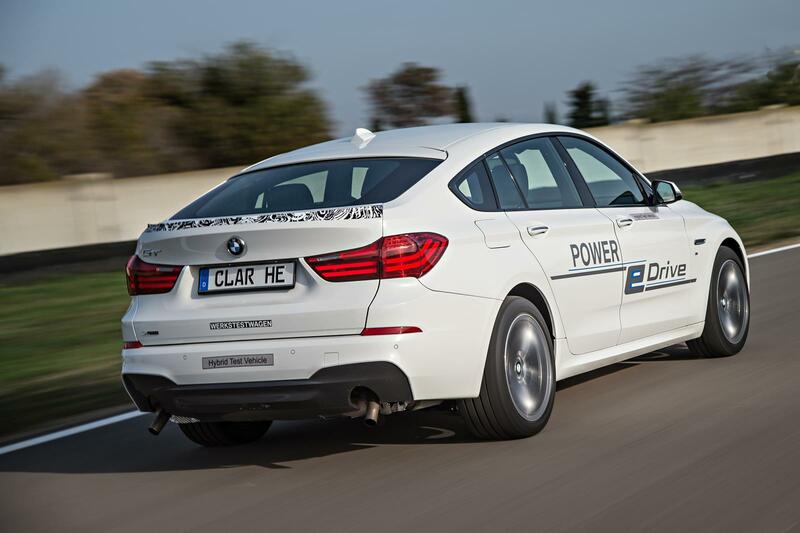 In order to ensure that this shift to increased electric operation goes hand in hand with typical BMW dynamic performance, unimpaired everyday practicality and maximum long-distance capability, the BMW Group is developing a new generation of “highly electrified” hybrid concept models. 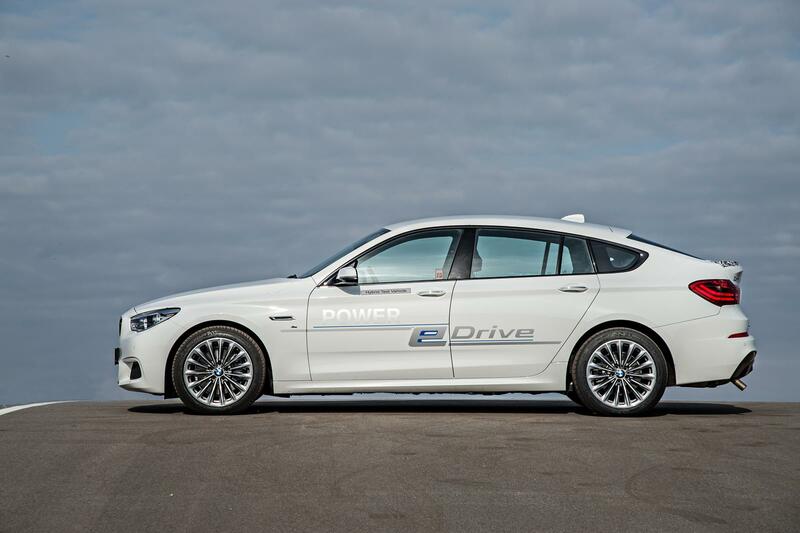 Highlights of the future models’ Power eDrive technology will include significantly higher-powered electric motors and batteries with twice the capacity of present versions. 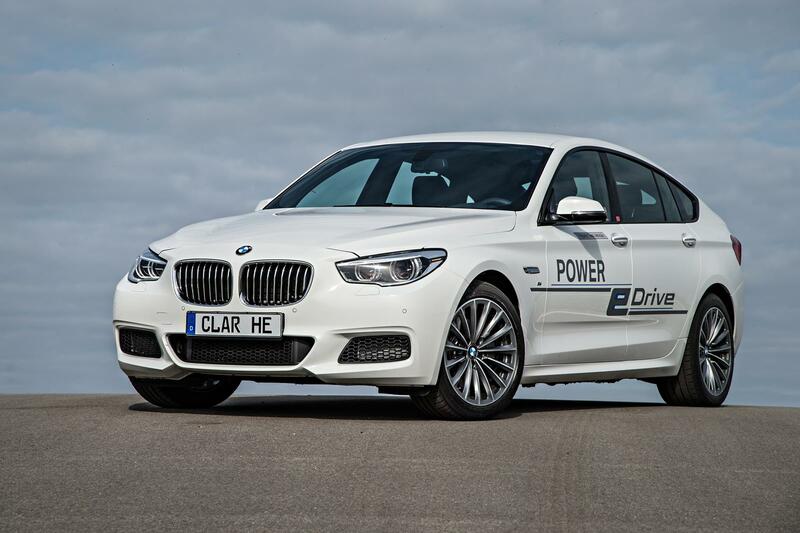 With this technology, the BMW Group is embarking on the next stage in powertrain electrification. 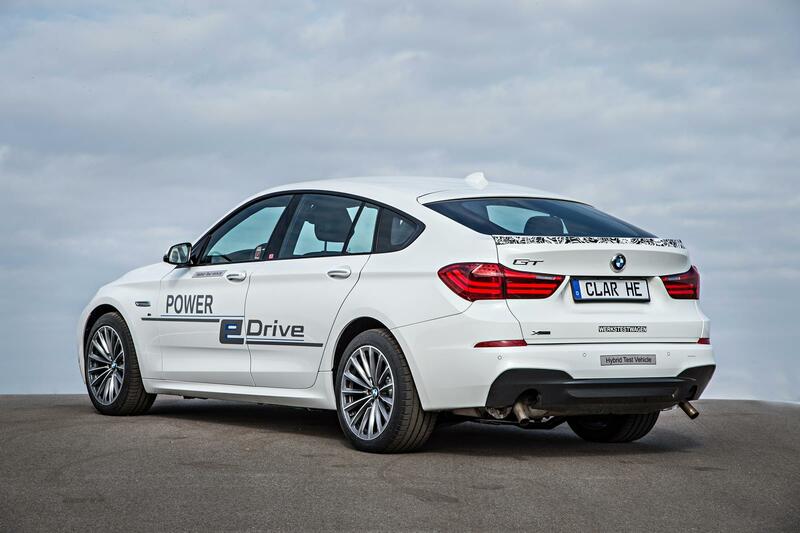 The development of high-performance Power eDrive electric drive technology is aimed at increasing both the overall efficiency and the dynamism of future hybrid vehicles. Increasing focus will be placed on all-electric operation – i.e. 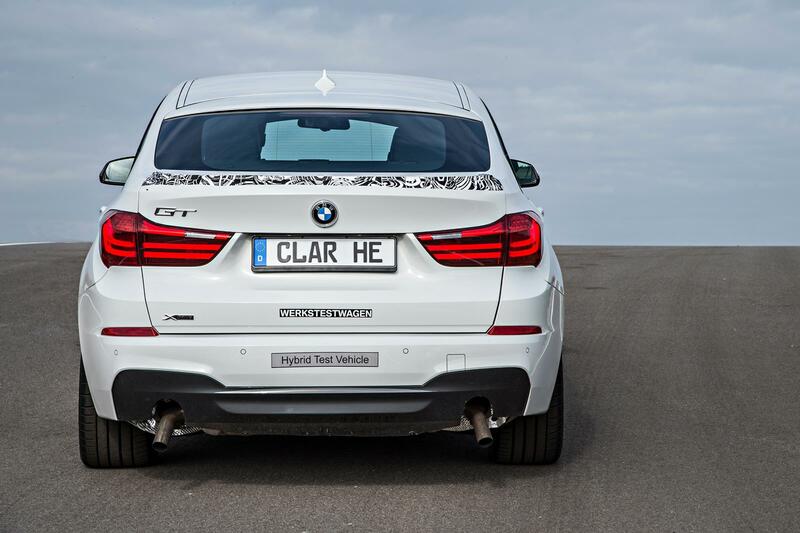 operation with zero tailpipe emissions. 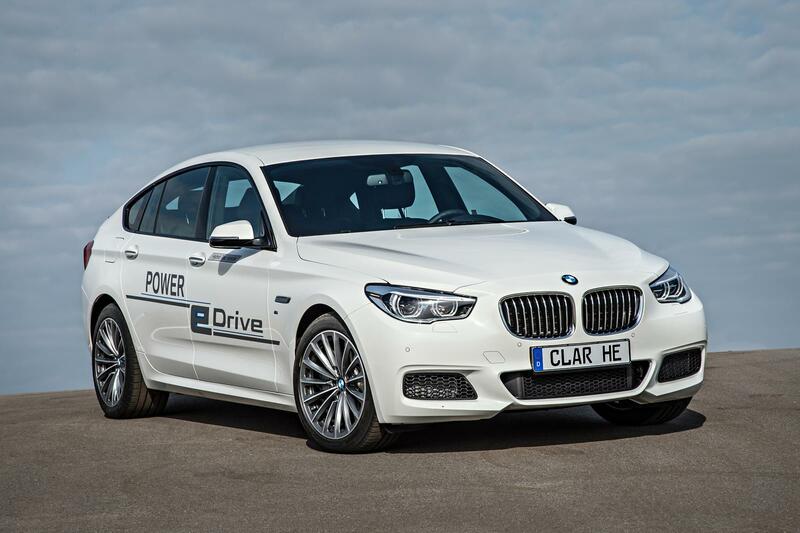 Power eDrive technology for plug-in hybrid application will be a natural choice for use in upmarket vehicle segments too, where it will offer unrestricted everyday practicality plus good long-distance capability. 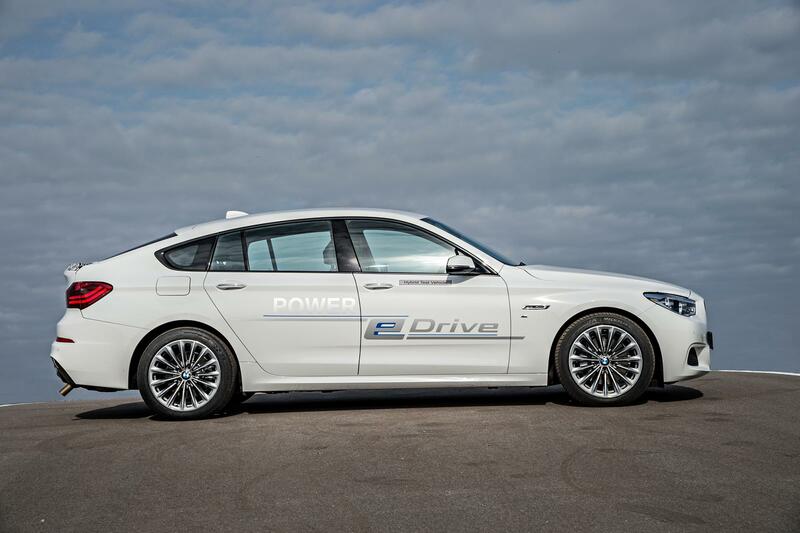 In these plug-in hybrid vehicles of the future, the Power eDrive electric drive system will contribute approximately two thirds of the vehicle’s combined output, with the TwinPower Turbo internal combustion engine accounting for the remaining third. 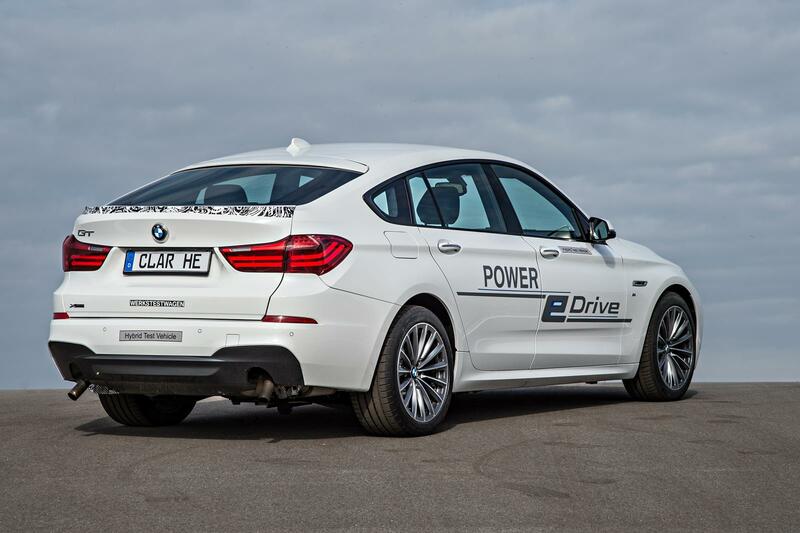 The drive components used in these future hybrid systems will offer combined outputs in excess of 500 kW, while the capacity of the lithium-ion batteries – up to 20 kilowatt hours – will likewise be greatly in excess of current hybrid systems. 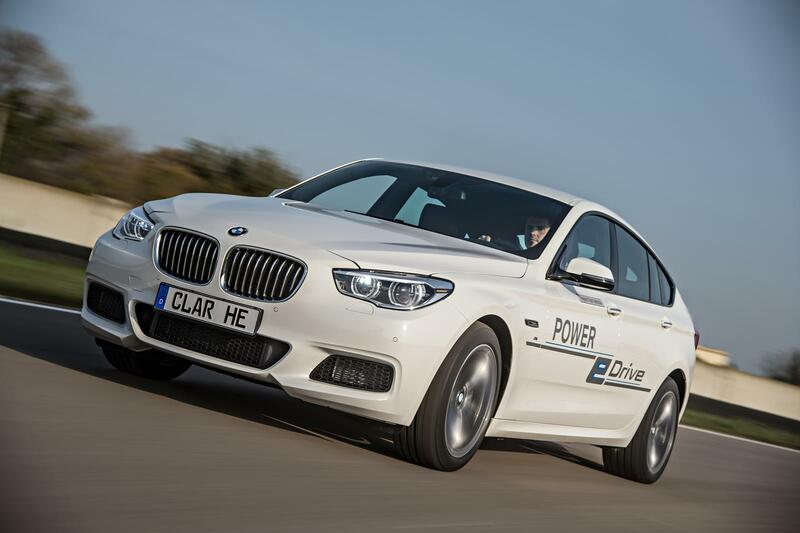 Zero local emissions in everyday operation, instant accelerating power, superior long-distance comfort. 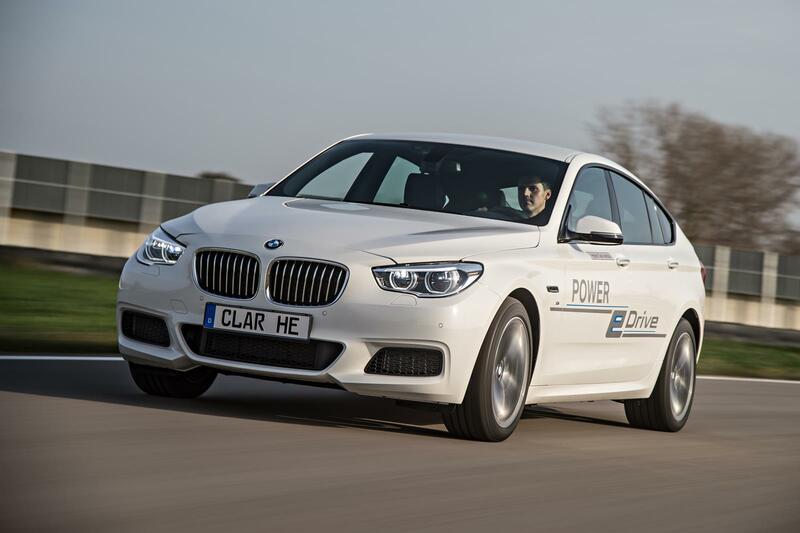 These advances, coupled with an increased all-electric driving range of up to 100 kilometres (62 miles), will make it possible to operate in locally emission-free all-electric mode on virtually all day-to-day trips. The role of the internal combustion engine within this concept will be a supporting one that takes various forms. 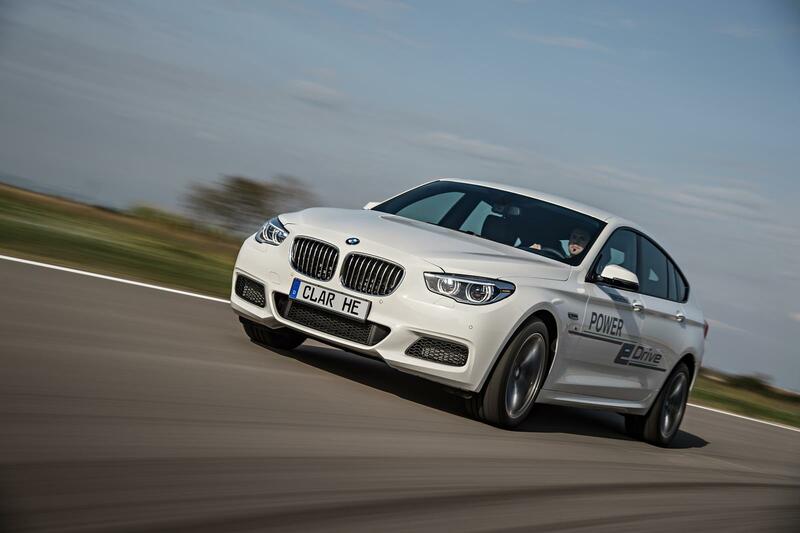 For example the engine can provide a boost function when extra-dynamic acceleration is required, and it can also serve to increase the overall driving range to levels typical of a conventionally powered vehicle. 3. 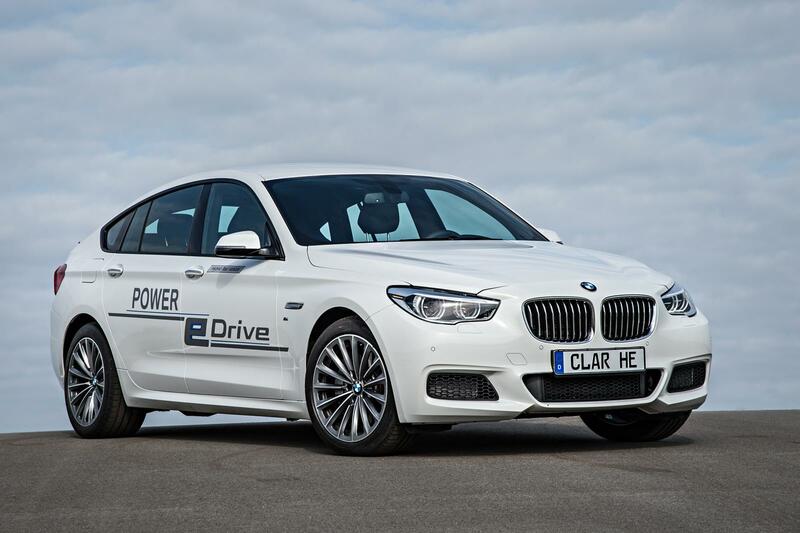 Growing focus on electric operation: Power eDrive plus TwinPower Turbo technology – the future of plug-in hybrid drive. 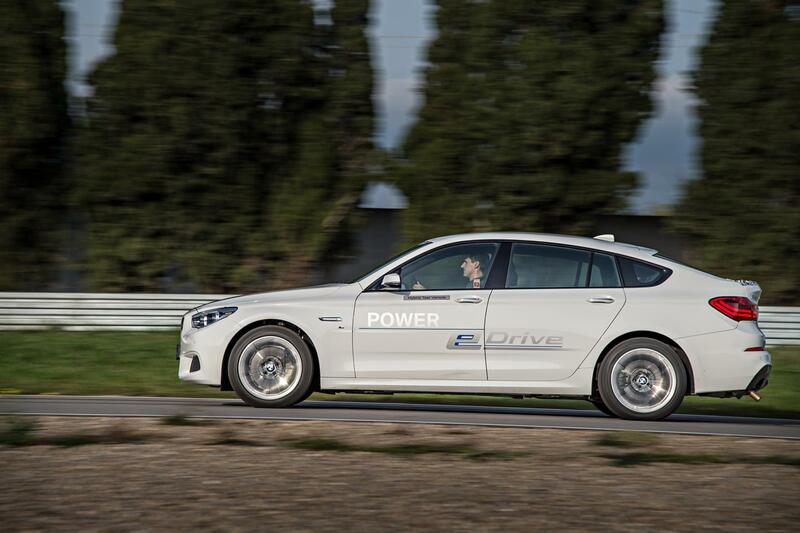 At the same time, the performance of these future hybrid models will be on a par with that of a conventionally powered sports car. 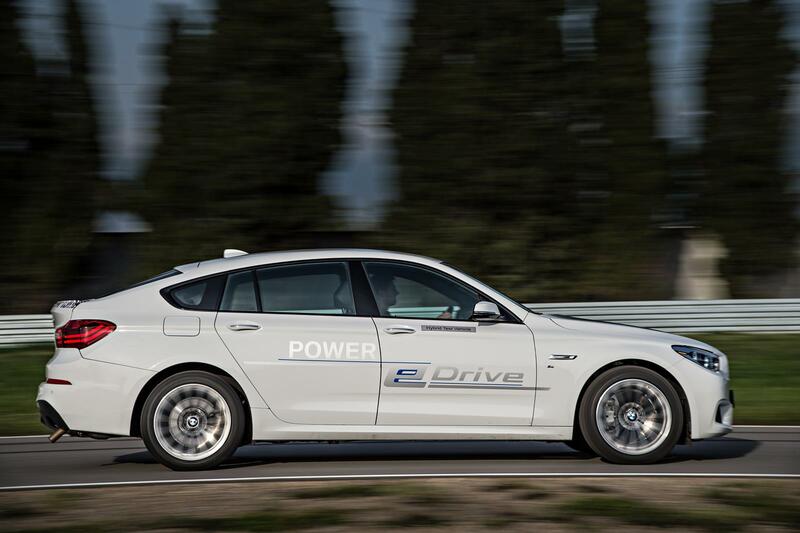 To add to the excitement the new, higher-powered motors will offer a further increase in the low-end responsiveness that has always been the hallmark of electric drive. 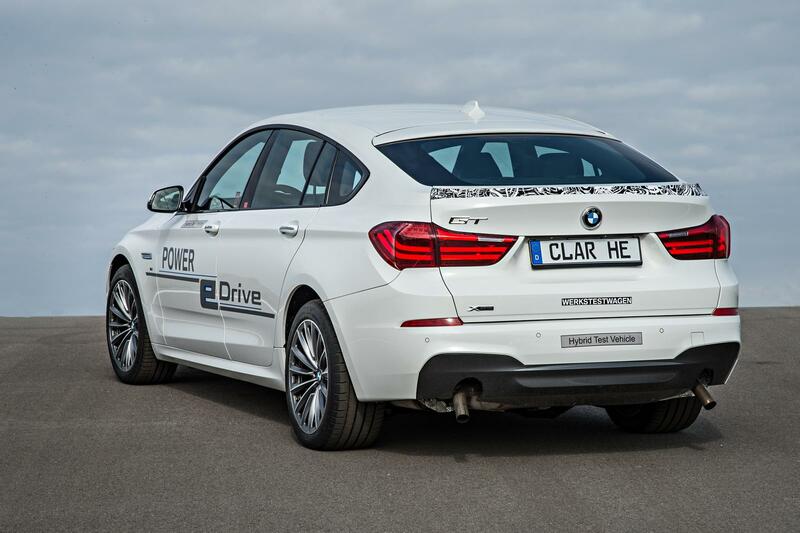 Flexible concept for typical BMW driving pleasure. 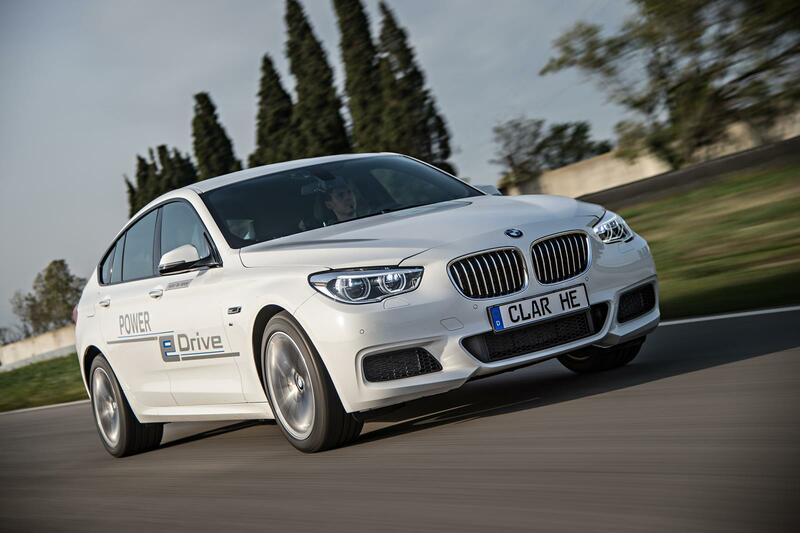 With its development work in the field of eDrive technology, the BMW Group is positioning itself to field the broadest possible range of high-overall-efficiency vehicle concepts. While the BMW i3 is the ideal solution for urban and suburban mobility, future plug-in hybrid drive systems will allow fuel consumption and emissions to be steadily reduced in long-distance operation as well. 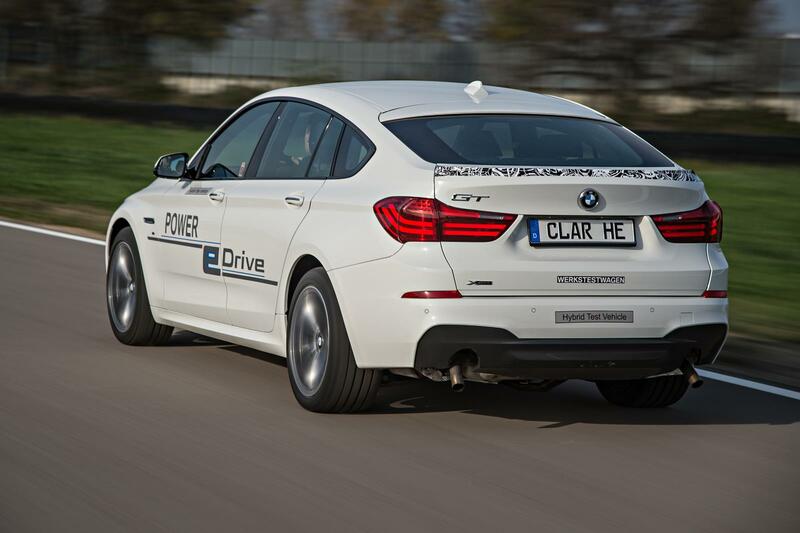 In other words, it will be possible to deliver a typical BMW driving experience across a whole range of scenarios, including zero-local-emission everyday driving, long-distance trips and sporty, dynamic driving situations.